Parkersburg’s Jack Johnson moves the ball downfield during the Big Reds’ Class AAA 4-1 Region IV sectional-final soccer win over Ripley. 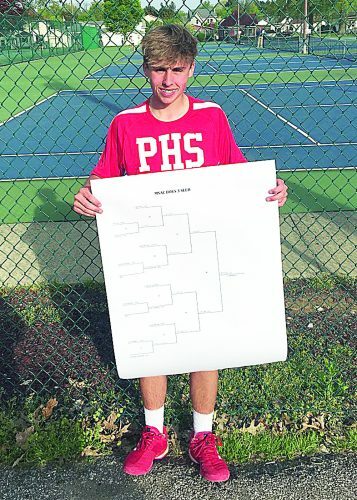 Johnson will be one of just two Big Reds to have previous experience when PHS begins state tournament play versus University in a state semifinal today. Photo by Joe Albright. 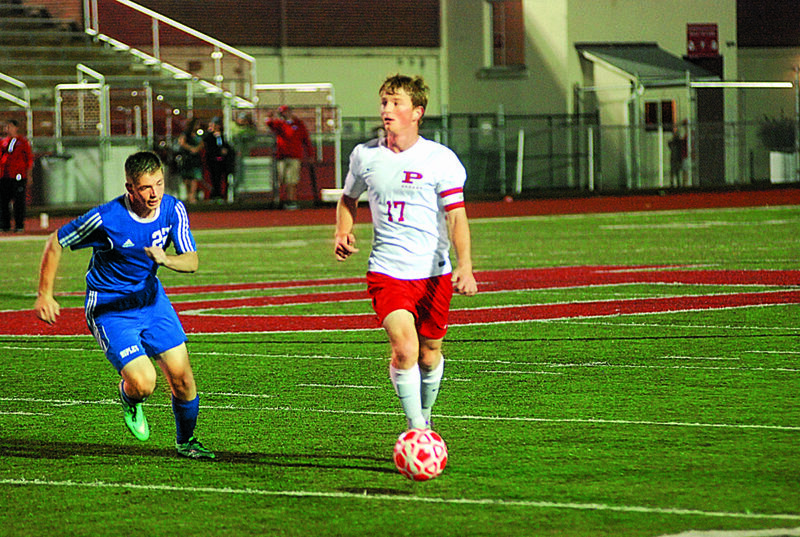 PARKERSBURG – When the PHS boys soccer team takes the field against University for the first of two Class AAA state tournament semifinals at 5 p.m. today at Cline Field in Beckley, the squad will be light on state tournament experience. However, the limited information about playing in the final games of the year happens to be in the heads of two of the Big Reds most important players: stopper Jack Johnson and striker Immanuel ‘Pokie’ Opoku-Duah. 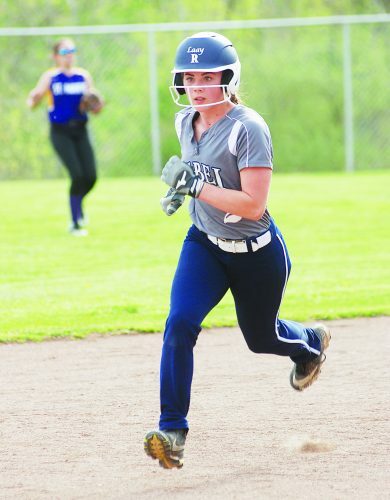 Both players were on the last Big Reds team to make an appearance in the state tournament three years ago. Parkersburg fell 2-0 to a very skilled Huntington team. These memories give PHS a big advantage over the Hawks in the opening game because University has no one on the team with any memories of what it is like to play in Beckley. 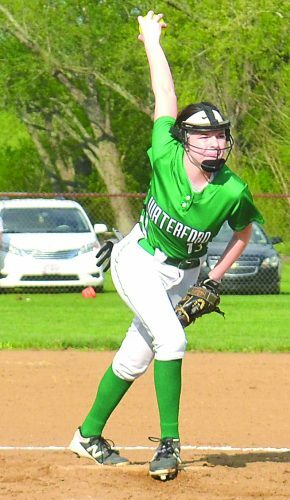 Although one could argue facing the two-time defending state champions in Morgantown three times this season could count as state tournament experience. In addition, Pokie and Johnson are members of the squad’s leadership team — a small ring of boys democratically chosen by theit teammates at the beginning of the season that learns different leadership skills and techniques from speakers brought in by Fosselman. Naturally, the pair’s place on such a team gives their words more weight. This leadership can be heard on the field with the senior defender shouting a number of positive things at his teammates. From “good shot,” to “nice idea, I see what you were trying to do there,” or a quick “my bad,” Johnson is always talking and always working toward making his team better. The Big Red leader also praises his senior for doing the dirty work on the defensive side of the ball and relishing in the challenge of shutting down the opponent’s best players. Johnson doesn’t need to score to have a good game – he is more concerned about the overall team and taking care of his job rather than scoring. Johnson leaves the scoring to fellow senior Opoku-Duah, who has been quite adept at finding the back of the net during his four-year stay at PHS. Pokie, who got his nickname from “Pokie” being easier to yell on the pitch than his whole last name, will leave Parkersburg High third in goals scored in the mid to high 60s. He has 20 goals this season but would love to add to that total during the last two games of the season. When asked if he was nervous going into the contest tonight, he responded as most great players do. This sentiment seems to have rubbed off on his teammates all year long. 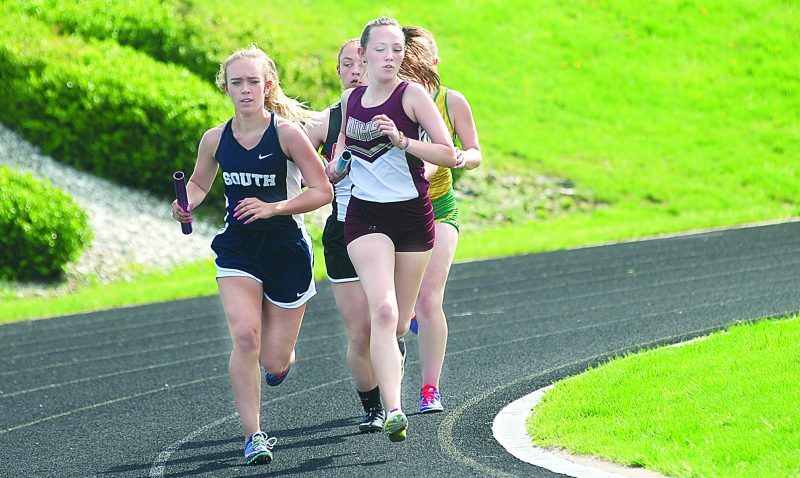 Parkersburg has been able to shrug off giving up early goals and keep its mental make-up composed. This in turn has led to several great comebacks, such as the sectional and regional finals, in which the Big Reds were down by one goal early. In both games though, PHS scored multiple times in the second half and held its opponent scoreless the remainder of the game.